So what is this skin whitening antioxidant and what makes it so super duper? Let’s find out. At its simplest, glutathione (pronounced “gloota-thigh-own“) is a substance naturally produced by the liver. And it’s a multi-tasking wonder. It’s critical for immune function. It controls inflammation. It acts as the master detoxifier and the body’s main antioxidant. And it is not only a powerful antioxidant, but it recycles antioxidants by destroying free radicals in our bodies and helping to regenerate another protective gluthathione molecule to boost our immunity to disease. A glutathione-deficiency has been linked to a variety of illnesses from chronic fatigue syndrome and asthma to the more deadly, like cancer and heart disease. On the other hand, raised glutathione levels have been shown to prevent aging, heart disease, cancer, dementia, as well as decrease muscle damage, reduce recovery time, increase strength and endurance and even shift metabolism from fat production to muscle development. No wonder gluthatione is being hailed as the mightiest antioxidant. But that’s not all. Glutathione works wonders for your body, but it also causes a certain side effect: skin whitening. How Does Glutatione Lighten Skin? So how does an antioxidant that detoxifies and boosts immunity also whiten skin? Well, as we mentioned previously – glutathione is naturally produced by the body. But a number of factors like poor diet, pollution, toxins, medications, stress, trauma, infections, and even simple aging all deplete glutathione levels. Taking glutathione – whether orally, topically or intravenously – helps boost the body’s capacity to create glutathione. Ideally, supplemental glutathione will be absorbed by the blood stream and taken to the liver, which will then create natural glutatione and export that to other cells. This increase in glutathione lightens skin because glutathione is made up of three amino acids: cysteine, glutamine, and glycine. Cysteine is the main component and abundant levels of cysteine in the body has been shown to lower overall melanin production in the body by inhibiting tyrosinase (an enzyme that stimulates melanin production) and changing the metabolic pathway of melanin from synthesizing dark pigmented melanin (eumelanin) to creating light-pigmented melanin (phaeomelanin). The result? A gradual shift to lighter and lighter skin tones, naturally and from the inside out. How Do You Take Glutathione for Skin Lightening? There are three ways – orally (with glutathione pills), topically (with glutathione creams), and intravenously (should only be done by a licensed professional). We’ll go over each of these ways of taking glutathione as well as their pros and cons and the best way to get the most benefits. A huge concern with taking glutathione orally is: absorption. The problem is that oral glutathione is not as bio-available as glutathione injections because a lot of it gets broken down in the stomach before it even has a chance to enter the bloodstream. This is why we recommend liposomal glutathione, which allows the glutathione to bypass the digestive system and enter the bloodstream, making it as effective as an IV but much cheaper and a helluva lot more comfortable. Liposomal absorption works like a Trojan horse, disguising the glutathione liposome to look like a human cell so that your cells ‘recognize’ the outside of the liposome and absorb it upon contact so that the glutathione is not digested, but absorbed into your bloodstream. Liposomal glutathione comes in liquid form – the best one we’ve found so far is Seeking Health’s Optimal Liposomal Glutathione. It’s a pretty strong dose we’ve found – 500 mg per serving – and more importantly, it’s high quality. This will last you a month at that daily dosage, two weeks if you double the dosage. It’s also the best tasting liposomal glutathione, which means a lot when you’re sucking it down every day. The only drawback to liposomal glutathione is that it’s a little price-y – around $60 per month. That being said, it’s effective and much cheaper, safer and more convenient than going for injections so it’s worth the extra price, we think. Take your oral glutathione on an empty stomach to ensure better absorption into your bloodstream. The recommended dose for skin lightening is between 1,000 to 2,000 mg of glutathione daily, divided into two doses. But that’s for glutathione pills, which are not as absorbable as liposomal glutathione. If you’re taking Seeking Health’s liposomal glutathione, you might want to double the daily dose. Start with that for a few months and see how you feel and how your body is reacting before you up the dosage. The best way to increase the effectiveness of oral glutathione is to combine it with Vitamin C and anthocyanins, which both have the ability to regenerate glutathione from oxidation. Around 500 to 1,000mg of Vitamin C should be taken daily along with a supplement high in anthocyanins like bilberry or elderberry extract. 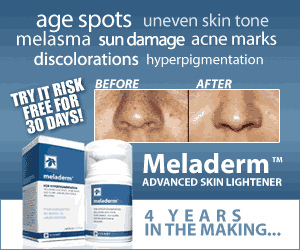 It can take around 3 to 4 months to start seeing skin lightening results from glutathione. Lighter-skinned people will see results the fastest – within 3 months – but it can take as long as 6 to 12 months for darker skin. The advantage of topical glutathione creams, lotions and soaps is that it allows glutathione to be delivered immediately into the skin, bypassing any digestion of the gastro-intestinal tract since most of what’s applied to the skin is absorbed straight into the bloodstream. We’d recommend complementing oral glutathione with a glutathione soap as well as a cream or lotion to get the best results. IVs feed glutathione directly into your bloodstream – totally bypassing the digestive system. It’s a highly effective method to whiten and brighten your skin since you get 100% of the glutathione dose absorbed into your body. For skin whitening, the usual single dose used in IV glutathione is 500 to 600 mg of glutathione combined with Vitamin C to increase efficacy. The only downside is that you’ll need to get this done by a licensed medical professional, which can be pricey, especially considering that each injection costs around $50 and you’ll need to make about 15 trips to the dermatologist to start seeing results. But despite the costs, if you want glutathione IVs – make sure you only get them from a reliable, certified medical professional. You might be tempted to seek out cheaper options and there are many of those – online shops selling “injectable glutathione” and non-medical spas offering the same – but there is always that very real danger of fake glutathione and that’s not a risk you should be taking. Glutathione by itself has no known side effects but there have been devastating cases of people who were injected with fake glutathione so please make sure you are receiving glutathione IVs only from licensed medical professionals. A great tip? Look on Groupon for deals – every so often, they have offers for glutathione injections at 50% off (or more), especially in areas like Beverly Hills and Miami.